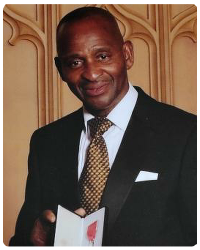 Victor ‘Hector ‘ Pinkney MBE, a community leader and karate black belt fondly known as ‘Mr Handsworth’ was honoured for his work in the area of Soho and Handsworth, Birmingham. Originally from Jamaica, Mr Pinkney was given an MBE four years ago after devoting himself to the inner-city community, including helping in youth work, organising talent shows, a running club as well as exercise classes for the elderly in the Handsworth area. Hector works as a security officer for Birmingham City Council Library Services; but his countless duties and network of contacts have made him the go-to man for people across the area. Hector is a dedicated and respected youth mentor and helps the library to organise and facilitate talent competitions and live music events which is supported by the community at large. Hector has worked with his sister Dolores, in helping young people on the Dojo Community Project for over 40 years. Hector is seen as a Community Champion in the area of Handsworth. He is well respected for his work in helping the young people and is regarded as a role model. Hector’s well known catch phrase is “Bringing Unity in the Community”. 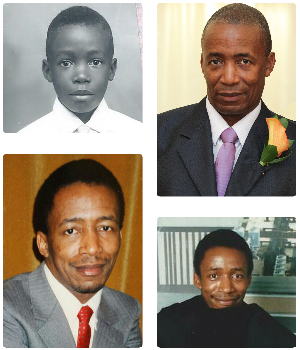 Hector’s reason in becoming a patron of the Foundation is: “I am very interested in the future of young people and to see them advance in life with dignity and ambition. The young people are our future and we all have a duty to try and do our best in supporting them. As the African proverb states: It takes a village to raise a child”. 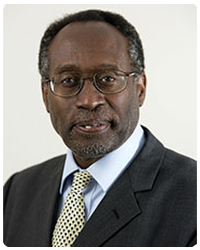 Professor Sewell graduated from the University of Birmingham, where he gained a BDS with honours (part I) and prizes then obtained his MSc and PhD degrees. He subsequently qualified MB.ChB in Medicine with prizes (University of Leicester). Professor Sewell held appointments in the Universities of Birmingham, Leicester, Glasgow and Aberdeen before becoming Professor of Immunology at The University of Nottingham in 1990.